The Sony Xperia Z is one of the hottest smartphones of the season and for a good reason – it’s got a 5″ 1080p screen, quad-core Krait processor, good looking all-glass body and last but not least it is IP57 certified, meaning it’s not afraid of a little dust and water. 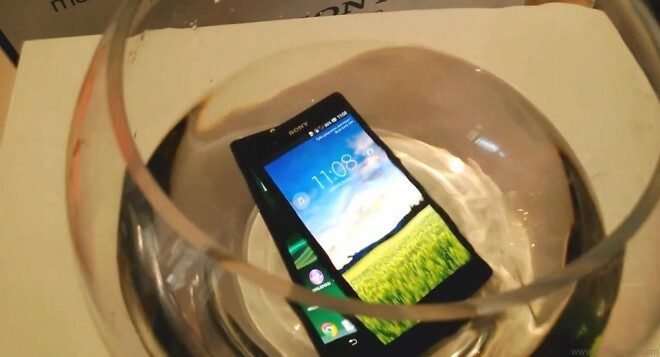 Polish blog Komorkomania decided to test out the Xperia Z’s mechanical impact resistance and later dip into water for the sake of being thorough – check it out after the break. There’s a lot of talk going on in this video so if you’re not fluent in Polish you might want to fast forward to 2:10. So the two Xperia Zs handled falling pretty good. It seems the tempered glass used in the front and back is really durable and could put even the Nexus 4 to shame.